Little Grebe (Tachybaptus ruficollis). Winter plumage. Taken at Farmoor, Oxon., on January 4th 2016. Winter plumage. Taken at Farmoor, Oxon., on January 4th 2016. 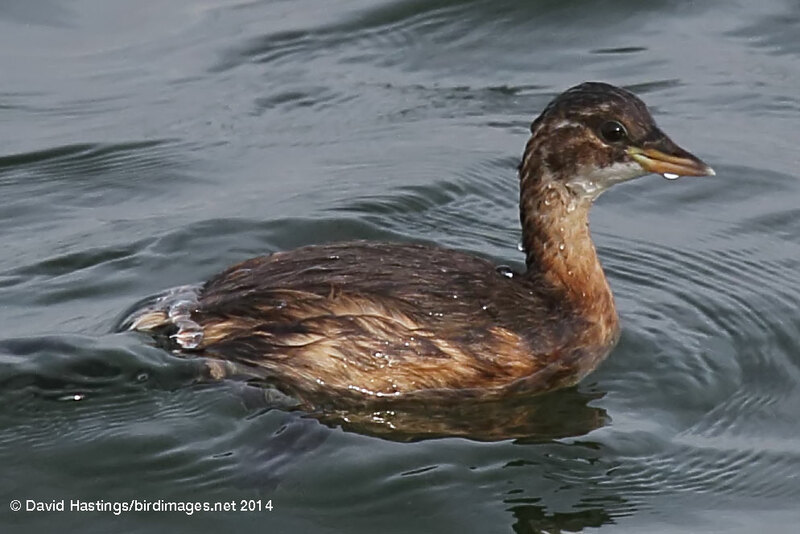 Little Grebe (Tachybaptus ruficollis). Summer plumage. Taken at Tophill Low, East Yorks on June 7th 2008. Summer plumage. Taken at Tophill Low, East Yorks on June 7th 2008. 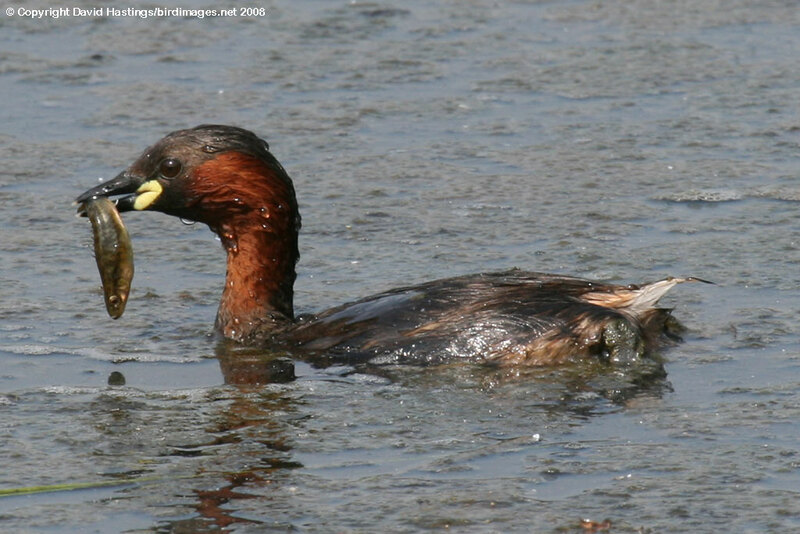 Little Grebe (Tachybaptus ruficollis). Juvenile. Taken at Farmoor, Oxon., on September 13th 2014. Juvenile. Taken at Farmoor, Oxon., on September 13th 2014. A small, dumpy grebe which often appears to have a 'sawn-off' rear end. It readily dives when disturbed, usually surfacing unseen some distance away. In summer it has a bright chestnut throat and cheeks and a pale gape patch at the base of the bill. The gape patch is smaller in winter, and the bright chestnut colouring disappears. It is found across the UK, although largely absent from upland areas. Its favoured habitats are lakes, gravel pits, canals and slow rivers with plenty of vegetation. In winter it can be found on more exposed lakes, as well as sheltered coasts and estuaries. It breeds in the vegetated margins of small inland waters. It keeps in cover of reeds and sedges for long periods. It often winters on larger lakes and reservoirs. This species is on the UK amber list. There are about 10000 breeding pairs in the UK. Between 18000 and 36000 birds over-winter in the UK.